Available in 4 sizes, 140mm, 160mm, 180mm and 200mm high. 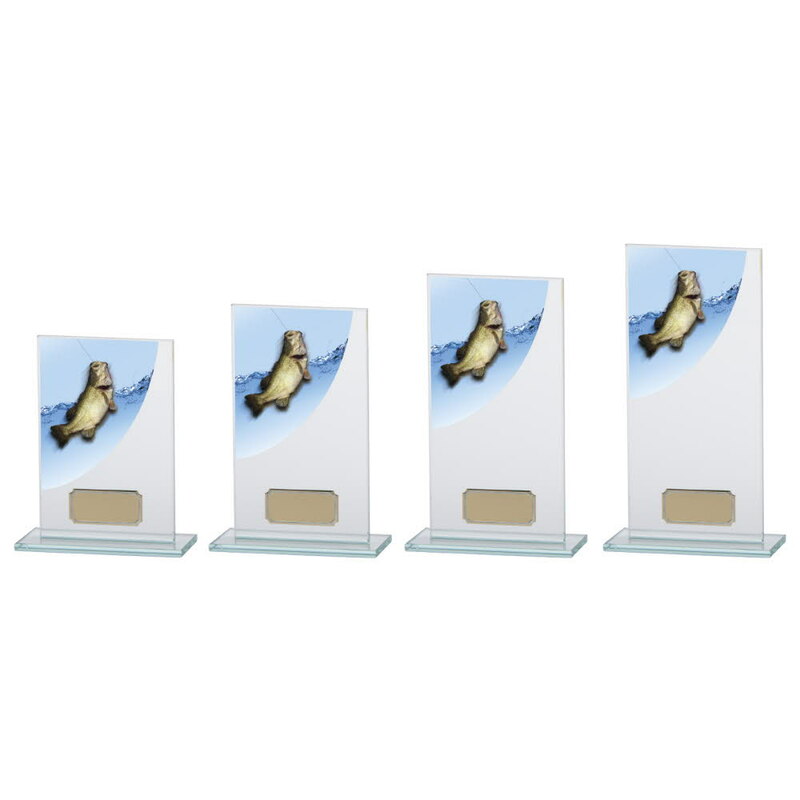 Premium Jade Glass 5 mm thick with a full colour fishing/angling image. 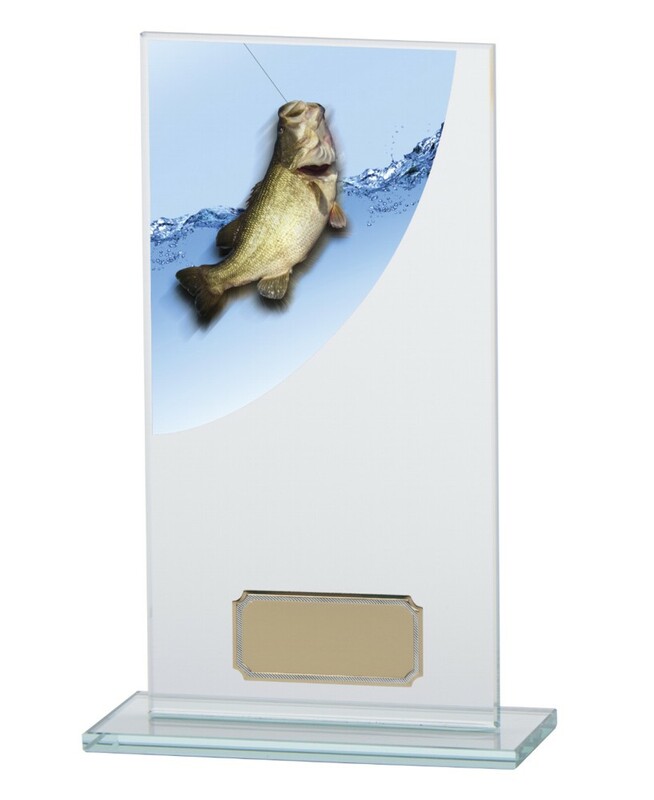 Superb fishing trophies.